Just wanted to post a page I completed this week and hadn't had a chance to post yet. 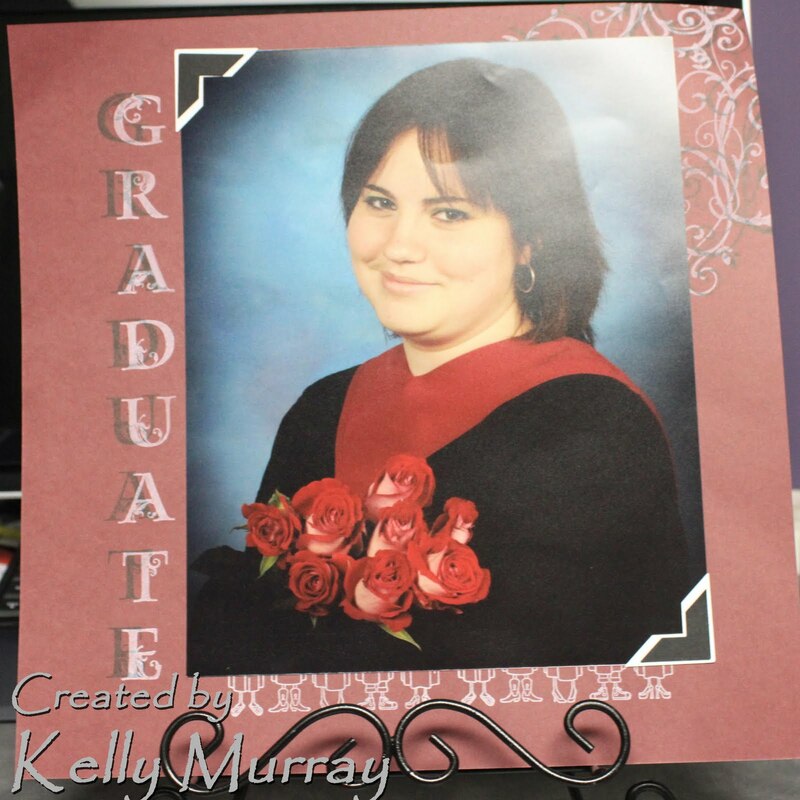 This is our second daughter with her high school graduation picture (last year, I am so far behind with my scrapbooking). Anywho I wanted to show at the workshop that I did on Monday that stamping isn't just for cards. Off to the city today, for dr's appts., third daughter's written driver's test and a bunch of running around. Have a great day!! Beautiful page Kelly the flourish looks so good. But stamping on scrapbook pages overwhelms me, so good job to you!